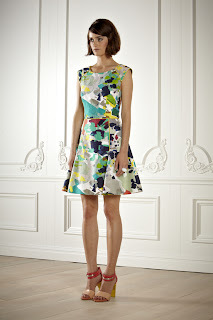 Rachel Roy has some nice simple,lines, wonderful prints and great color in this 2013 Cruise collection. I love the feminine nature and elegance of the line. In my opinion, this is a home run hit Rachel Roy. I could see Mrs. Obama in a couple of these looks.